Susan Butler is a keen french and psychology student who enjoys raising awareness about environmental issues in UCC. She has a key interest in being healthy and sustainable at the same time. 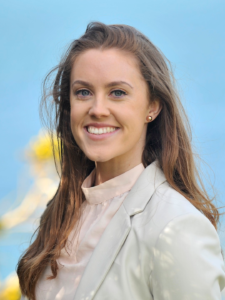 She is a volunteer intern with UCC’s Green Campus and is involved in the KeepCup campaign which aims to reduce the amount of disposable cups on campus and in the wider UCC community. She is also interested in sustainable fashion. 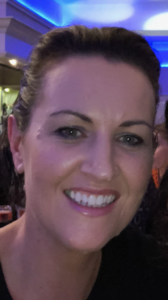 Denise Dowds is a teacher of geography at Scoil Mhuire Buncrana the last 11 Years and 6 Years in Dublin prior to that. A mother to three young children so when she gets free time she likes to garden and dabble in a bit of oil painting. Denise also enjoys watching any programmes narrated by David Attenborough and is delighted to see that Blue Planet 2 has had such an impact on viewers regarding attitudes to plastic. Excited about the year ahead as a Climate Ambassador and delighted to have a great bunch of students on board to help make some changes. 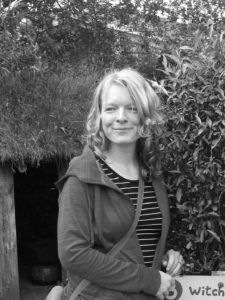 Sorcha Kavanagh has always had a keen interest in the environment, nature and social issues. She has spent twenty five years in Sales & Marketing mainly business to business across various industries including print, packaging, medical and occupational health. She has a degree in Marketing, is very determined and enjoys a challenge. Having had an illness in 2015 she had a wake up call and decided that when she recovered she was going to make a change and help be part of the solution to creating a better environment for future generations. 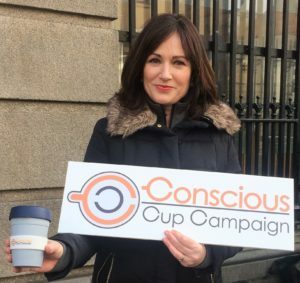 Sorcha is also the Coordinator of the Conscious Cup Campaign. 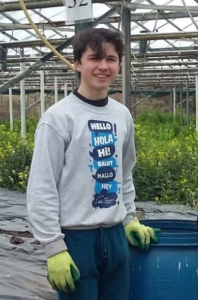 Ruairi Moore is a 5th Year student in Blackrock College, Dublin and believes his purpose in life is to serve all forms of life. This is central to everything he does and he believes climate change needs to be halted to sustain life and for it to thrive. ‘EcoRock’ is a student run team, focusing on reducing the plastic use in Ruairi’s school. ‘Education Lacking Let’s Get Cracking’ was formed to get students inspired to deal with environmental, social and political issues. They have organised demonstrations in town and talk to people to share ideas. Planting nut, fruit and many other plant types in a style called Permaculture. The goal is to help people eat diets which are healthier for the planet and themselves. Irene Hughes is a teacher in Ashbourne Community School. 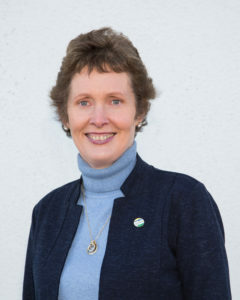 Irene’s initial passion for our planet was largely inspired by a hugely committed group of lecturers who developed a pioneering degree in Environmental Science in the University of Ulster in the 1980s. As a community school teacher, Irene channels her keen interest in environmental issues through her leadership of the Green Schools initiatives and by creating and running an Environmental module with her TY students each year. Their current focus is on removing disposable water bottles from the school, and highlighting and educating our students about the environmental crisis which is plastic pollution. As a Climate Ambassador, Irene now feels she has a duty and a responsibility to take the environmental campaign further than the school community. Irene feels fortunate to have the co-operation of 3 student Ambassadors in their school and together they are making steady progress. 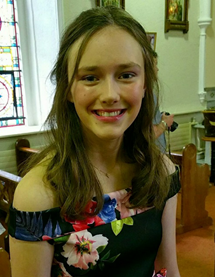 Hello, my name is Maebh Browne and I am a Climate Ambassador. I got my interest in the environment and climate change when I was 11 years old in primary school. It started with small projects, as we very young, but it sparked an interest for me in the subject. 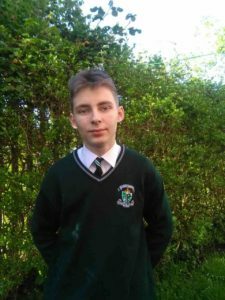 Now I am a Transition Year student in Ashbourne Community School and I am involved in the Green Schools committee. The major issue that we are working on now is trying to eliminate plastic bottles from not only our school but the surrounding schools in the area. I am working alongside 2 other student Climate Ambassadors and our teacher who is also a Climate Ambassador. 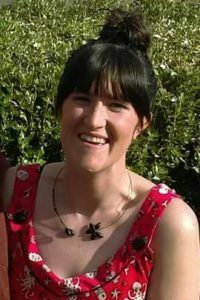 Sarah Hegarty is a Freshwater & Marine Biologist based in Dingle and for many years has raised awareness of environmental issues, particularly plastic pollution in the oceans, such as by organising beach cleans around the peninsula. As the former Head Aquarist at Dingle Oceanworld, she educated thousands of visitors on the importance of healthy ecosystems and the pressures the world’s habitats feel as a result of exploitation by mankind. She has always had a deep love of the ocean and teaches surfing as a way of encouraging people, young and old, to connect with nature and respect it. Marek Zbanski is a 3rd Year Secondary School student. He is interested in tackling climate change through the use of renewable energies and by devising new methods and technologies to bring a real change to the world. 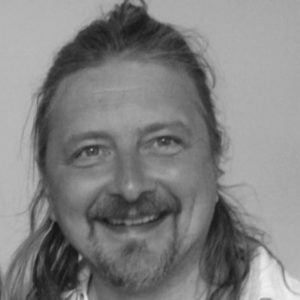 Marek likes to give talks to audiences and in doing great work each and every day to make sure that today is at least a little better better than the day before. Currently, Marek is involved with the Green Schools Committee in his school and holds the position of chairman. Marek also volunteers with St. John ambulance brigade and is working on a project to enable their ambulances become more sustainable. Please email email gtyrrell@ee.antaisce.org for Marek’s contact details. Marek is interested in collaborating and helping in any way he can. 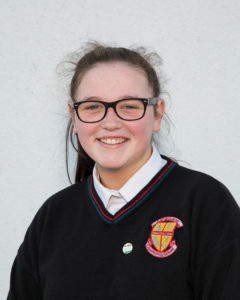 Nadya Doyle is a 5th year student in the CBS New Ross. Nadya had an interest in Environment from an early age after watching David Attenborough’s ‘Planet Earth’ and the ‘Truth about Climate Change’ with her Grandad. This inspired her to be more mindful of waste reduction at home and to become part of the Green Schools Committee in her school of which she is now chair. She recycles at home and regularly uses the Recycling Centre in New Ross and wishes to promote recycling as she feels people may not be aware of the many items that can be recycled. Nadya has an interest in the reduction of plastic waste and believes it is a massive threat to our oceans. She is a supporter of the Conscious Cup Campaign and Clean Coasts. Nadya’s favourite environmental docu-film is ‘Before the Flood’. Her favourite saying comes from Dr. Seuss ‘The Lorax’ – ‘Unless someone like you cares a whole awful lot nothing is going to get better. It’s not.’ Nadya believes that if everyone took responsibility and made at least one change to help the environment whether it was to use a reusable cup/bottle or reduce their plastic waste it would make a difference to our planet and future generations. It depends on us.